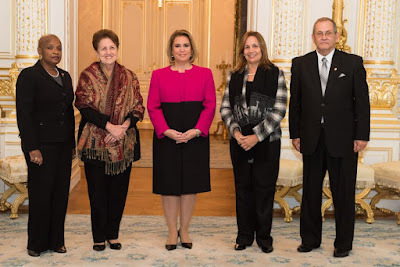 Grand Duchess Maria Teresa received a group of politicians and diplomats from her native Cuba at the palais today. 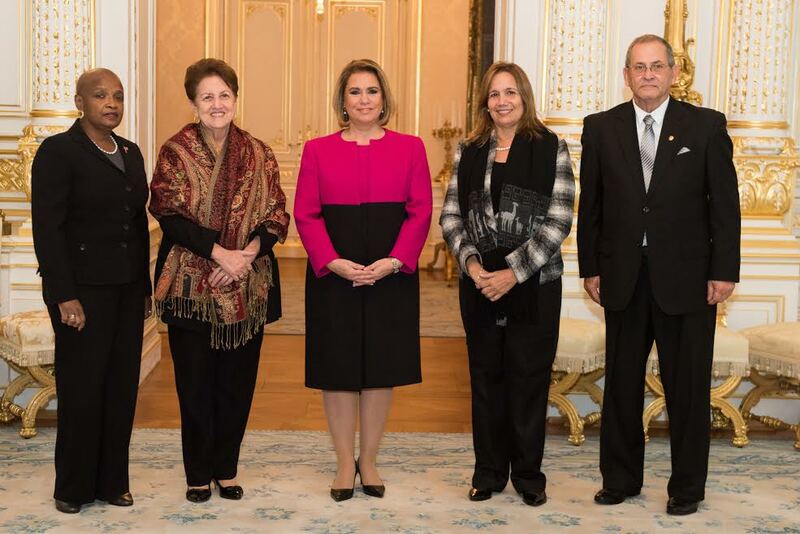 (From right) Norma Goicochea Estenoz (Cuba's ambassador to the European Union), María Yolanda Ferrer Gómez (president of the commission for foreign affairs), Ana Maria Mari Machado (vice president of the national assembly) and Lázaro Barredo Medina (journalist, member of parliament and member of the commission for foreign affairs) are currently on a working visit to the Grand Duchy. The Grand Duchess, of course, was born in Marianao, Havana, Cuba. Her family fled the country in October 1959, at the time of the revolution. She has returned twice since, most recently in 2012 with her husband and two youngest children. The cour denied earlier this year that there is a state visit coming up to Cuba next year.